This blog post was sponsored by KING’S HAWAIIAN® but the opinions are all my own! For me, the perfect game day sandwich is one that tastes just as good at room temperature as it does hot off the grill. The Cuban sandwich is one that fits that bill perfectly! I discovered the Cuban in Miami several years ago when Beth and I were headed to the Keys for our honeymoon. Even since that time, it has been one of my favorite sandwiches. 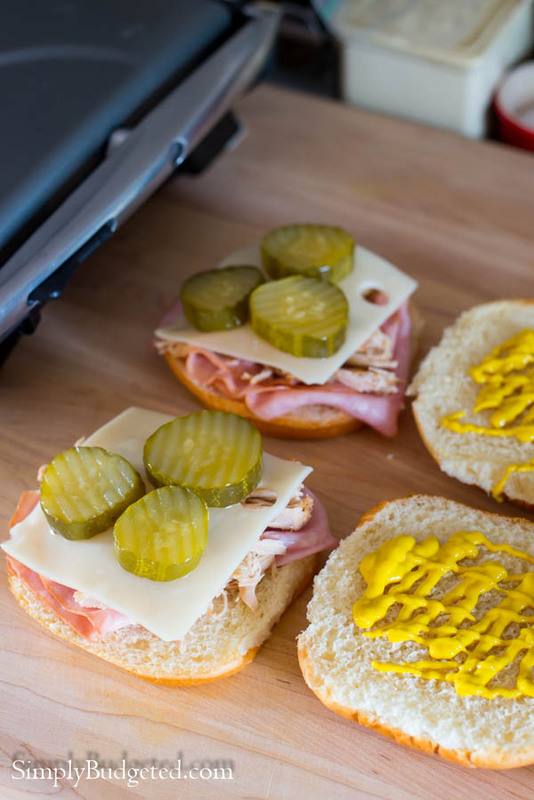 Crispy bread, nutty Swiss cheese, tangy pickles, spicy mustard, and, of course, all of that porky goodness, make this sandwich just a great combination of flavors. I start by layering ham, leftover pulled pork, Swiss cheese, pickles, and yellow mustard onto a KING’S HAWAIIAN® hamburger bun. The KING’S HAWAIIAN® buns adds a sweetness to the sandwich that makes the whole family happy! Once I have the sandwiches prepared, I heat my panini press so that I can crisp up the bread and melt the cheese. To make it a little easier to serve, I quarter the sandwiches and secure them with toothpicks, effectively turning them into 2-3 bite sliders. 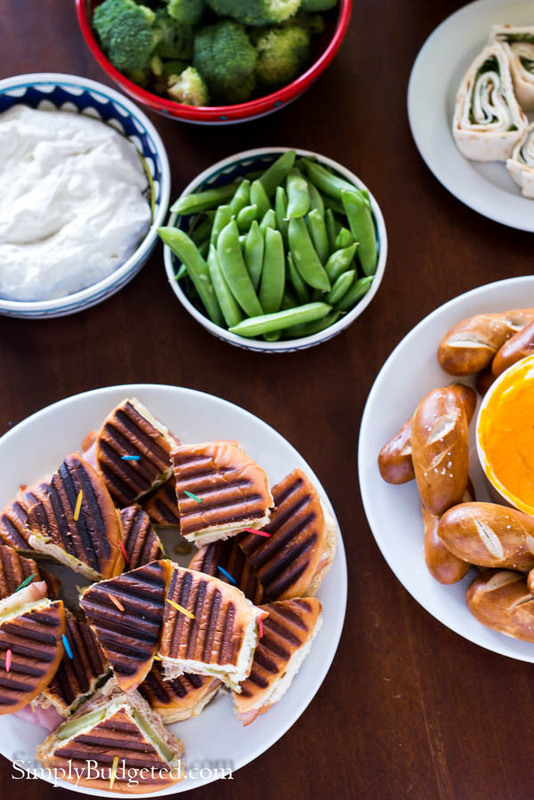 Fill the table with fresh veggies, dip, and other snacks like pretzels and chips and you’ve got a great table to entertain the family (and any friends who might stop by) with very little fuss. Looking for more ideas to change up your game day menu? Check out Courtney Whitmore’s Game Day Guide at Walmart.com! On bottoms of each bun, layer 1 slice of ham, 1/4 cup pulled pork, 1 slice of cheese, 3 pickle slices, and 1 tsp mustard. Top with the tops of the buns. Spray the panini press or grill pan with baking spray. 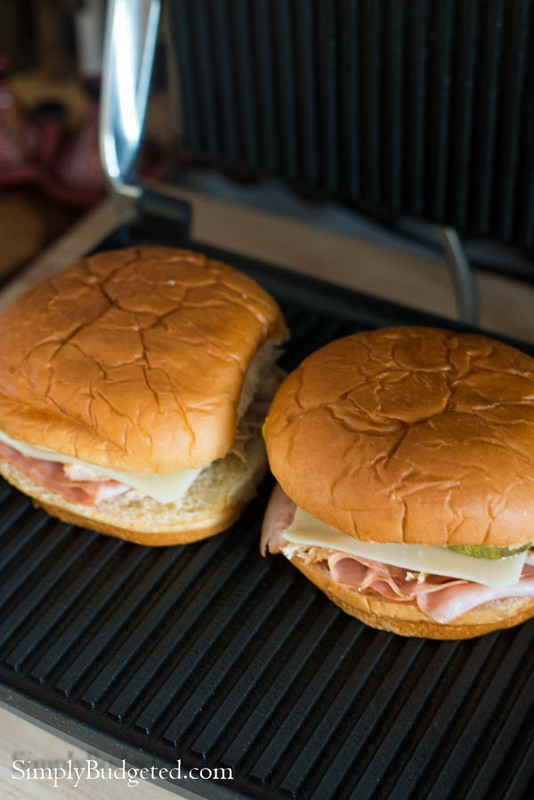 For panini press, close the lid and cook for 3-5 minutes or until the cheese melts and the meat is warmed through. Remove from the press and cool for 2 minutes before quartering the sandwich and securing with toothpicks. For a grill pan, place the sandwiches on the pan and weigh down with a heavy pan or foil covered brick. Cook for 2-3 minutes, flip over, and cook for another 2-3 minutes. Remove from the pan and cool for 2 minutes before quartering the sandwich and securing with toothpicks. Serve with game day sides and enjoy!